White, blue, green, pink, or yellow? I take a look at Apple’s colourful addition to the iPhone range. In 2013 Apple broke from the norm and released two iPhones at the same time. 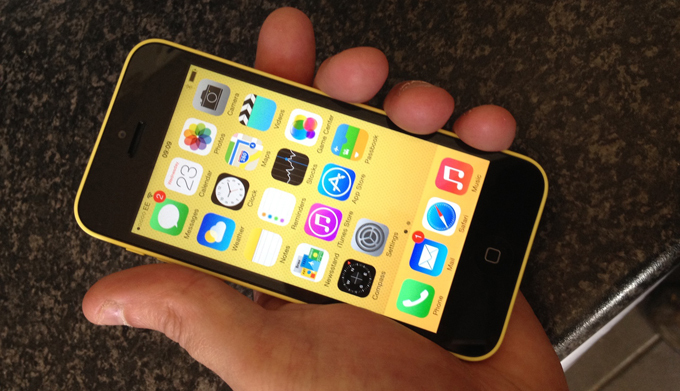 While the flagship iPhone 5s may have touted 64-bit processing and a fingerprint recognition home button, the iPhone 5c came with its own unique selling point – its colours. For the first time the iPhone comes in funky colours instead of only black, white, or silver. It is available in white, blue, green, pink, or yellow. This is not a run down of iOS 7. This is not a review of how iPhones work. This is mini review of what’s different about the iPhone 5c. In a strange move when Apple released the 5s and 5c, they decided to remove the iPhone 5 from their line – keeping the iPhone 4s as their bottom line iPhone. What adds to the confusion is that the iPhone 5c features the same hardware as the 5, just repackaged in a colourful plastic casing. The iPhone 5 was plagued with problems from easy scratching to warping, broken buttons, and camera – and some claim Apple replaced the 5 and all its problems with the 5c – and brushed the 5 under the carpet. Both the iPhone 5 and the iPhone 5c have the same Apple A6 1.3 GHz dual core 32-bit processor, with 1 GB RAM, a PowerVR SGX543MP3 graphics chip, and a 4” screen with 1136 x 640 pixels and 326 ppi. Both have 8 megapixel (MP) rear camera and 1.2 MP front camera. The slight differences are, the iPhone 5 was available in 16, 32, and 64 GB, vs. the iPhone 5c in 16 and 32 GB – with Europe also getting an 8 GB version. The iPhone 5 has a slightly lower 1440 mAh battery vs. the 1507 mAh battery in the iPhone 5c. This plastic casing on the iPhone 5c makes it marginally taller, wider, and deeper than the iPhone 5 and oddly also makes it heavier. The iPhone 5c performs like an iPhone 5. However, in the hand it is an extremely slippery device. It really needs a case, and the official Apple ones with holes in them feel good in the hand – but they are pricey. 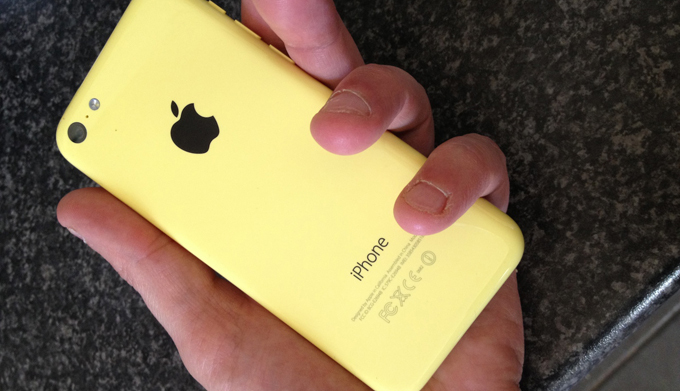 My wife recently picked up a yellow iPhone 5c, and the black lettering and Apple logo on the back looks very fetching and stands out very well. The 5c seems a great device. iPhones often get mocked for poor battery life, but unlike previous iPhones, the 5c has a superb battery. My wife has Facebook installed with push notifications and iMessage set up. She also plays a fair amount of games – and she easily gets two days out of her 5c. In contrast, my iPhone 4s barely reaches a day – but then it is older, with a smaller battery, and I have a lot of push apps installed as well as email fetch hourly. However good a media and gaming device an iPhone might be, it is a phone primarily – and this essential function works very well. Call quality is clear and loud, and signal strength has been superb, which is good, because we live in a generally poor signal area. The iPhone 5s is the flagship device and the iPhone 5c is hardly the “cheap” handset people were hoping for, but there is a significant price difference. Which one you choose will depend on your financial situation. Both are great devices. When brightly coloured iPhones where rumoured, I thought it would cheapen the brand, make them feel toy-like. The colours might sound gaudy, but they are pale pastel versions and do look very nice – I just wish there was a black version. Would I get one? Yes, I would if I didn’t already have a 4s. They are fast, slick, and lovely looking devices. The only question is which colour?